The gallery is pleased to present an exhibition of new works by one of Russia’s young contemporary painters Victor Butko. Carrying on the tradition of Russian Impressionism, the exhibition will run from March 15th, to April 15th with an opening reception at the gallery on Saturday, March 20th at 7:00 p.m. If you have or are building a serious Russian collection, a painting by Victor Butko would make a great addition. For example, a Tkachev Brothers painting might easily sell for $150,000. The next generation, a Grigoriy Chainikov painting might sell for $50,000, but the work of the young artist, Victor Butko, now sells for about $6,000! 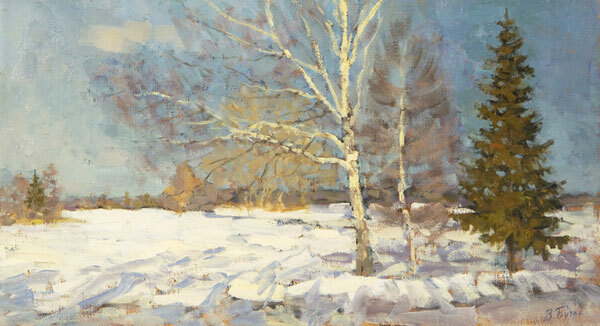 This quality and pricing is a great chance to start or add to a Russian Impressionistic collection. May I suggest that you consider several Butko works before we offer them to the general public at the opening reception Saturday, March 20th. Before the opening we are offering you, one of our special friends, a 10% 'thank-you' discount on all Butko paintings. This is a great opportunity to get some beautiful art and perhaps a great investment as well!